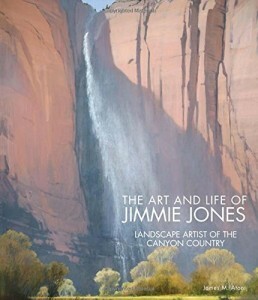 “So, I guess there’s Maynard Dixon and this guy,” a friend muses, thumbing through landscapes of Zion and Grand canyons in The Art and Life of Jimmie Jones. And because he is an excellent landscape painter himself, that comparison sticks. Although Jones exhibited at Phillips Gallery for more than a decade (1977-88), some people north of southern Utah haven’t heard of this superb (and actually renowned) artist – one with a singular story that finally is being told. And so it should be. We are all in his debt: it was Jones’ lifetime dream and the initial gift from his estate that helped to make the just-opened Southern Utah Museum of Art in Cedar City a reality. He donated his stunning Rockville studio and home (that he built stone by stone) on 4 acres of land overlooking Zion Canyon (with an estimated worth of $1.5 to $2 million), his last 14 paintings and the copyright to his work to Southern Utah University to help fund its construction. The artworks are on exhibit at SUMA in a gallery bearing his name. All this according to a richly illustrated, coffee table-size book (12”x1”x12”) written by his friend and biographer James M. Aton, professor of English at Southern Utah University. 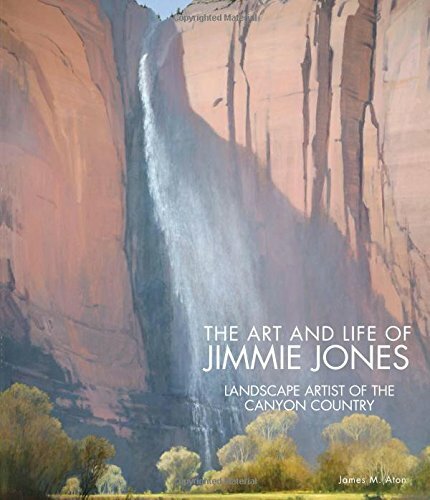 Published in November 2015 by Gibbs Smith, located in Layton and known for its beautiful art books, The Art and Life of Jimmie Jones: Landscape Artist of the Canyon Country is an appealing and absorbing volume. At 264 pages, with many crisp and dreamy reproductions and plenty of revealing text that tells about Jones from childhood crayon drawings through the various “other” artistic periods in his life, this is truly a satisfying work. In fact, it’s difficult to put down, unusual to say about an art book. But Aton’s material is so thoroughly researched, well-presented and about a life so well lived that the words nearly equal the captivating images in holding one’s attention. The book is filled not only with biography but with shrewd critical observations of the work. It’s just a really good read. 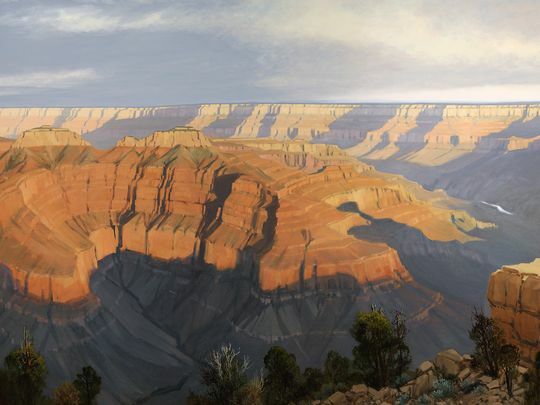 “Point Sublime” was one of the artist’s last works and was donated to the Southern Utah Museum of Art. Aton has written several previous books (on John Wesley Powell, the Lower San Juan, and Desolation Canyon) but nothing in the art genre, though he published an article on Jones in Southwest Magazine in 1983. In the book we learn that Jimmie was one of those talented kids who somehow decide they are an artist at a young age – and for Jones, that, pretty much, was that. He painted portraits and figures early in his career, landscapes almost exclusively for the last 25 years of his life – all of which are lushly represented in Aton’s book along with archival photographs and even the aforementioned crayon drawings, saved by the artist’s mother. He studied at the Art Center in Los Angeles and the Art Students League of New York (where a lifelong friendship with Utah artist Earl Jones began) before earning his BFA from the U of U in 1961 (where he studied under such greats as Alvin Gittins and Doug Snow and was a teaching assistant for professor and Salt Lake Tribune art critic George Dibble). He spent winters for 12 years in Mexico painting excellent portraits, beach scenes and churches, returning to Utah to spend summers at the family cabin on Cedar Mountain. Jones estimated that he ultimately completed some 1,400 canvases. They hang in private homes, LDS temples (he needed to acknowledge being Mormon for this to happen), in banks and hospitals as well as museums, but ultimately could only account for a few hundred. When Jones learned 14 of his paintings were going to be hung at the Braithwaite Gallery at SUU he decided that, although he was deathly ill, the work there needed to be fresh if he was going to be remembered by it. He set out to paint 14 new canvases, and finished them, but was too frail to attend the opening. He was buried at noon Dec. 12, 2009, on the day the exhibition closed. The Art and Life of Jimmie Jones has won the 2016 15 Bytes Book Award for Art Book. It has also been awarded the Evans Handcart prize from Utah State University’s Mountain West Center. James M. Aton was born in Louisville, Kentucky, in 1949, and was educated there in Catholic schools. He received a BA in English from Spring Hill College in Mobile, Alabama, in 1971, an MA in English from the University of Kentucky in 1977, and a Ph.D. in American Literature from Ohio University in 1981. He has taught in the Department of English at Southern Utah University since 1980, where he is a Professor of English. 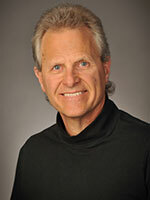 He was named SUU Distinguished Educator in 1994, Outstanding Scholar in 2010, and Trustees Award of Excellence in 2011. I better get down there to see this. Also to attend the Shakespeare Fest. What a loving review for a great painter. I never understood why so many people move to St George instead of Cedar wh is a far superior place, esp w/ this latest.